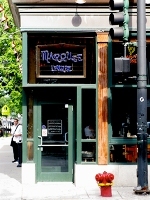 MARQEE LOUNGE is open until 2:00 AM Monday thru Friday, until 3:00 AM on Saturday, and until midnight on Sunday. 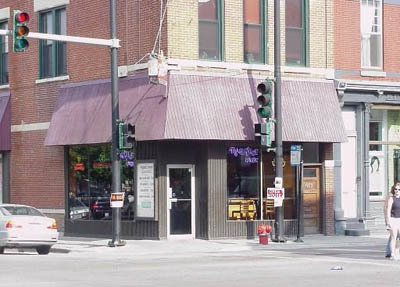 This is a great little corner tavern, blending the modern style of Lincoln Park with the classic rustic appeal of a traditional pub. They've always got sports on the television, great tunes coming from the well-stocked jukebox, and an extensive selection of beers on tap. We love to bring our friends here for a rollicking good time, with large ice cold beers, delicious bar fare, and all the coverage of the big game of the day. Very clean and well lit too. We can't find a negative word to say about this little gem of a corner bar.